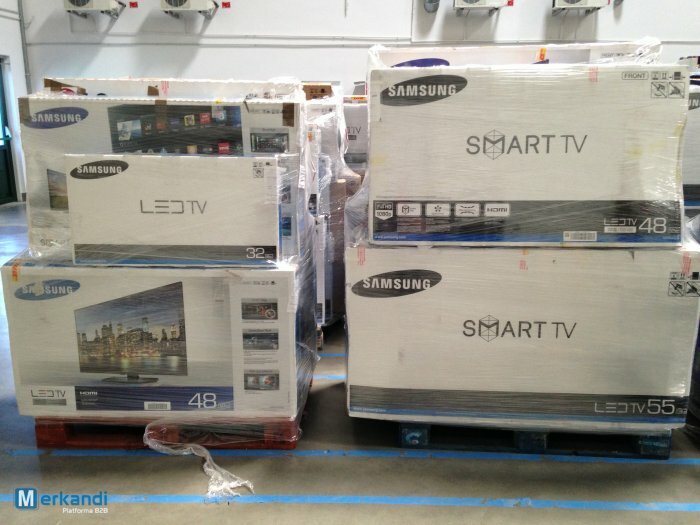 A batch of Samsung wholesale tv sets is available to purchase from one of the European wholesalers. The stock includes slightly over 140 Samsung tv sets, and is only available to buy on a take all deal basis. The most important information about this offer, is the fact that all of these wholesale tv sets were tested and are damaged. However, the damages in most cases do not include the screens of these Samsung tvs. In other words, majority of them have defects, which are not linked with their screens. The wholesaler informs, that most of them are packed in original retail boxes, what’s very important if You are planning to buy them, then fix them, and finally resell them to the retailers or end users. For any additional information about this offer, including the condition of these wholesale tv sets, please contact the wholesaler directly. You might also want to view some more pictures of this wholesale lot. All of them are available here.